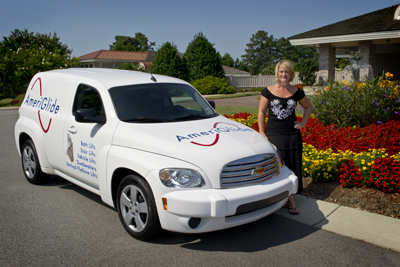 Ameriglide of Lexington services all of Kentucky including Louisville and surrounding areas. In addition we have expanded our coverage to include the Greater Cincinnati area until our local store opens in the near future. Our expertise is mobility and accessibility products and we guarantee to never, ever be undersold! Have the steps in your multi-level home presented a mobility challenge? Are you hesitant to get in and out of the bathtub on your own? Do you have trouble carrying the groceries? We have good news for you: You don’t have to sell your home. You don’t have to rely on a caregiver. 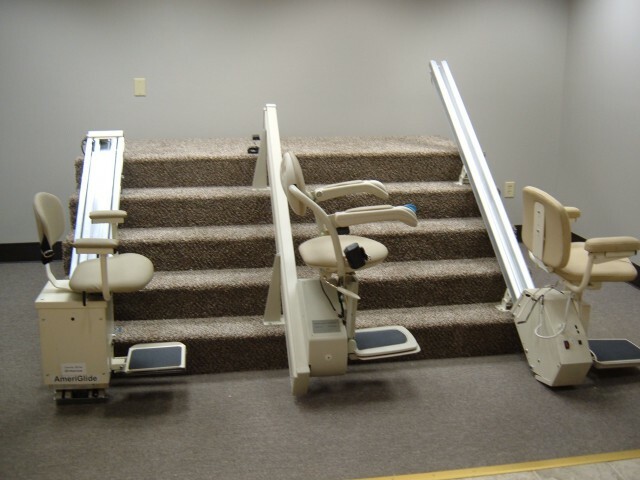 AmeriGlide has many mobility products including stair lifts, wheelchair lifts, walk in tubs, dumbwaiters, bath lifts, residential elevators, lift chairs, and more. Come see us at 487 E New Circle Rd, Suite 130, Lexington, KY 40504. Our products are intended to improve your quality of life. To make everyday tasks easier. Now you can continue with your independent life but live it in a brand new way! Do laundry in the basement while enjoying the convenience and safety of your stair lift. 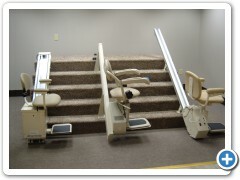 Enjoy leaving the house to visit friends and family when you experience the ease and security of your wheelchair lift. Carry in a heavy load of groceries effortlessly with the ease and reliability of your dumbwaiter. Feel safe and independent with your quality bath lift or walk in bath tub. We also offer used stair lifts which are thoroughly inspected for safety and operation by our stair lift experts before being resold. Please contact us by phone or email to set up an appointment to come visit our location or for us to come to you. Our office/warehouse facility is open by appointment only. Thank you and we look forward to helping you solve all your accessiblity needs.